Product prices and availability are accurate as of 2019-04-19 03:37:57 UTC and are subject to change. Any price and availability information displayed on http://www.amazon.com/ at the time of purchase will apply to the purchase of this product. Instructor and student evaluations from coast to coast attest to the Dans' captivating writing. 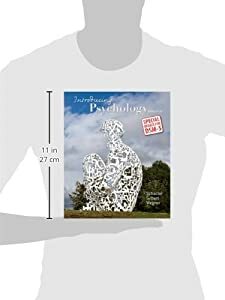 These award-winning bestselling authors know how to enthrall students with the subject they love best--psychology. But in the new edition of Introducing Psychology, they go even further to ensure that students won't commit one of the seven sins of memory--forgetting what they just read. Special Cue Questions and Critical Thinking questions give students the opportunity to process psychological concepts and aid their understanding and memory. And if you've ever heard someone parrot a widespread misconception, you'll welcome the new Changing Minds questions, short scenarios which ask students to confront common misunderstandings of psychological phenomena. Now the book that students love to read is as unforgettable as ever! 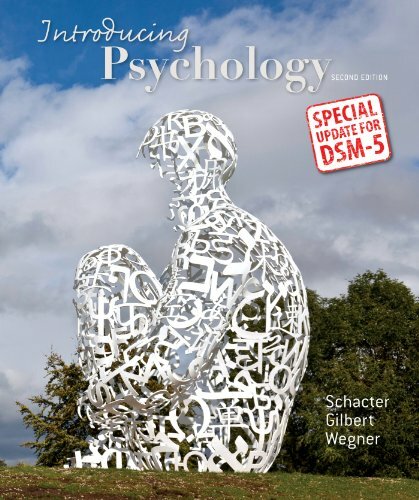 Available for Fall 2014 classes, this update version features new content from the Dans in response to the release of the DSM-5. This new content is integrated into the text without changing pagination or the structure of the chapters. A special DSM 5 Supplement by the Matthew Nock, new coauthor with the Dans of Psychology, Third Edition, is available for Fall 2013 and Spring and Summer 2014 courses. View the Page-Referenced Guide to the DSM-5 updates for Psychology.